The Packers have activated running back Aaron Jones from the suspended list and waived cornerback Deante Burton, the club announced today. Jones, 23, was handed a two-game ban for violating the NFL’s substance abuse policy after an October 2017 arrest. A fifth-round pick in last year’s draft, Jones was excellent during his rookie campaign, averaging 5.5 yards per carry on 88 attempts. Among running backs with fewer than 100 carries, Jones finished first in DYAR (a representation of his value over a replacement level player) and second in DVOA (meaning he was effective on a per-play basis), per Football Outsiders. Jones isn’t coming back to Green Bay as a starter despite his production a season ago. After Jones missed the tail end of the 2017 campaign with an MCL injury, fellow rookie Jamaal Williams took over as the Packers’ workhorse. 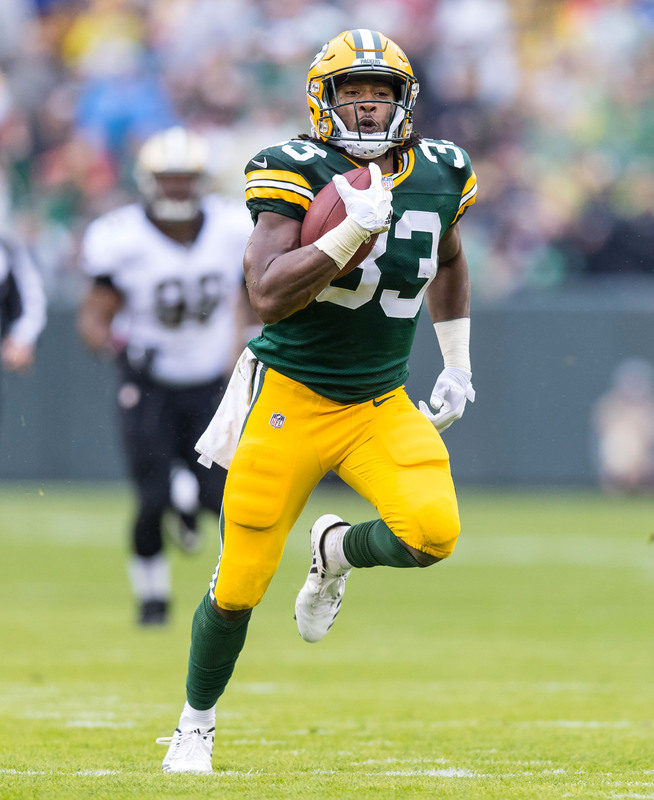 In total, Williams handled 153 carries an averaged 3.6 yard per carry last year, and has shouldered the load through Green Bay’s first two games this season. With Ty Montgomery also in tow, Jones will be eased back into the club’s offensive gameplan. Burton played receiver at Kansas State but converted to cornerback upon being signed as a Falcons undrafted free agent in 2017. He played in one game for Atlanta this year before being cut.